Six years into the failed 2000 AOL-Time Warner merger (a $164 billion deal that was undone in 2009), the rising popularity of digital content and a new era of content creation set in motion the opportunity for a notoriously stodgy AOL to make a bold and pioneering bet on an upstart sports blog. At the time, sports blogs and blogs in general were still in their infancy, but the writing was on the wall. Times were changing and AOL was eager to get a seat at the table in this new world of digital content. What started as an unshaped and half thought out experiment quickly became the web’s most popular and iconic sports blog, giving rise to the careers of dozens of previously obscure writers, bloggers, and editors. 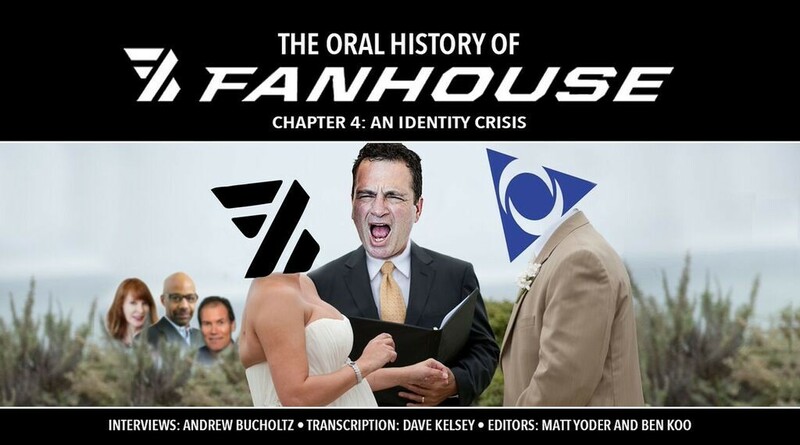 As unexpected and thrilling as FanHouse’s rise was, ultimately it all unraveled in rather spectacular fashion. 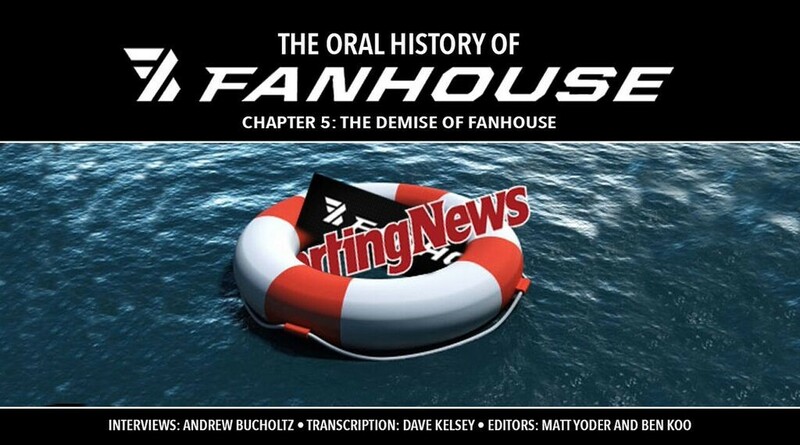 From its humble beginnings, to its pinnacle as the most-read sports blog on the web, to its tragic demise, FanHouse was a landmark achievement for the sports blogosphere whose DNA can be found scattered across the web today. 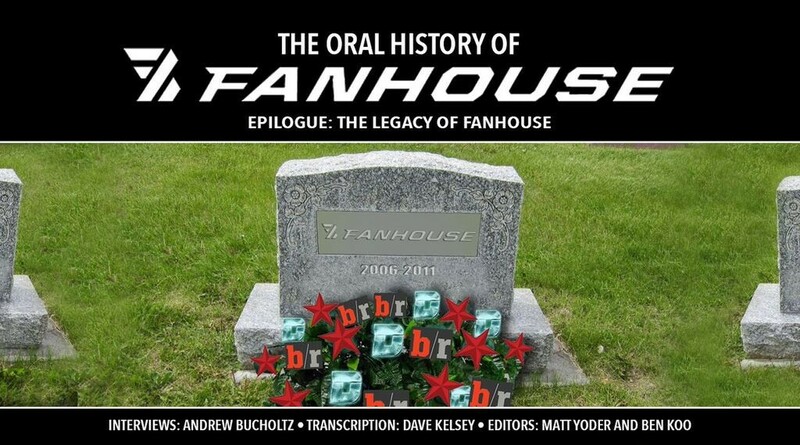 This is the story of AOL FanHouse, told by the people who were involved in its creation, its rapid rise in the sports media landscape, and its ultimate demise. (Note: AOL declined comment for this oral history.) The story is told in chapters so you can browse through the different eras of FanHouse, the stories of its writers, the behind-the-scenes drama, the controversies played out in public, the great sportswriting, and the impact it continues to have on sports media today. 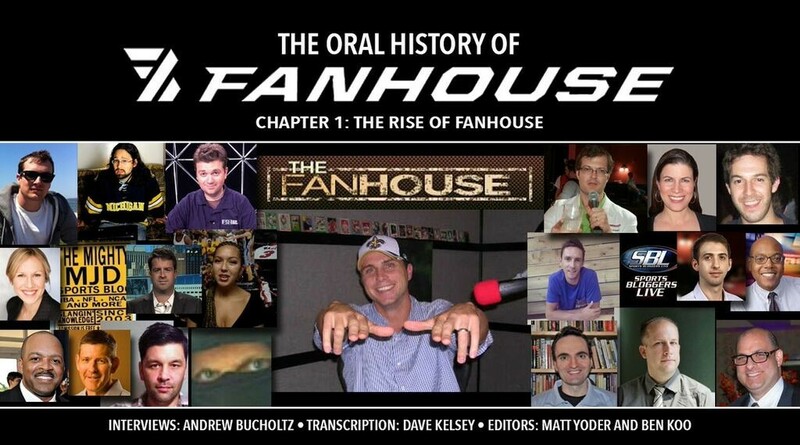 The entire story of FanHouse from beginning to end has largely been untold until now. It’s a story that laid the foundation for what the sports blogosphere would become. Thanks to everyone who agreed to participate in this oral history.